The Merlin Group presents its landmark residential creation called the Merlin 5th Avenue, coming up at Salt Late in Kolkata. 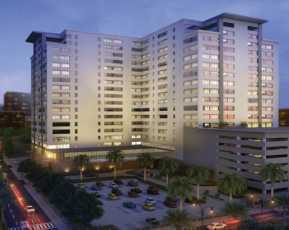 It is one of the most-sought after residential project that is conveniently located and nominally priced. The majestic residential Merlin 5th Avenue is set up along a gigantic 1000 acre natural lake and offers charming greens with 60% open spaces. 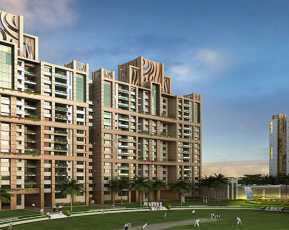 Merlin 5th avenue is Spreads across 4.22 acres of land; the property offers an assortment of 3 BHK lavish residences spanning 1062 sq. ft. to 1906 sq. ft. 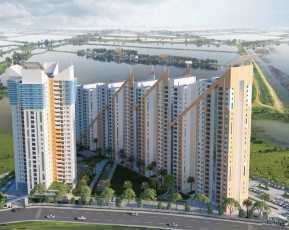 The homes are stylized into 5 imposing residential towers which are G +22 floors high. 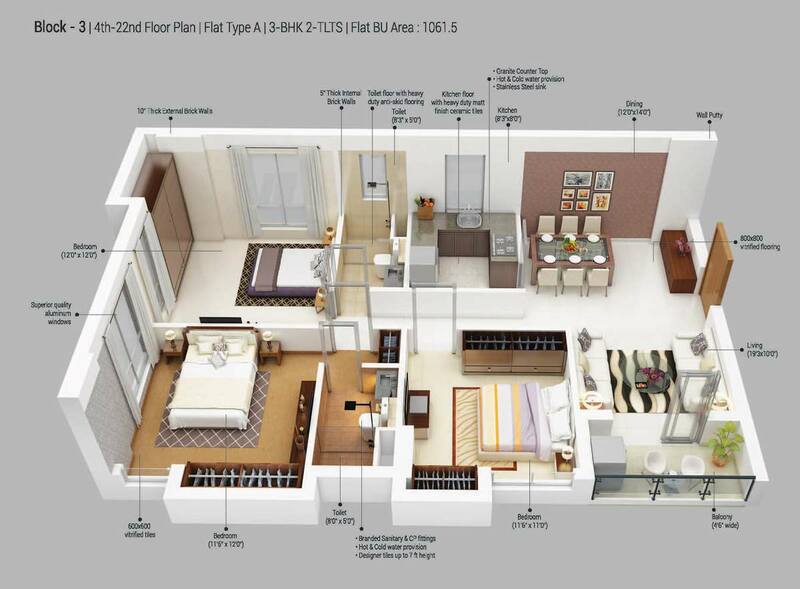 Merlin 5th avenue floor plan has 441 housing units which are adorned with features of Avant-garde quality. Each and every apartment at 5th avenue has a pre-loaded AC, intercom facility, power back up, video door phone and is nicely done with trendy interiors like vitrified tiling, concealed wirings, teak wood doors, designer kitchen and lots more. 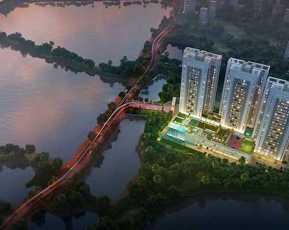 The awe-inspiring Merlin 5th Avenue Kolkata offers fabulous amenities that match your contemporary lifestyle. The list of the Amenities of Merlin 5th avenue includes AC banquet hall, golf putting zone, swimming pool, a hi-tech gym, sports arena, library, private theatre, 24 hour treated water supply, aerobics, jogging track, yoga, play area for children, indoor games. Some innovative facilities include a fashion themed entrance lobby, virtual gaming zone, TV lounge, door to door services, laundry provisions and maintenance services. The Merlin 5th Avenue Price starts at Rs 72.20 lakhs and ends at Rs 1.29 crores. The buyers can browse through the several home loan options and multiple installment plans to make the investment in this Property in Kolkata comfortably. Merlin 5th avenue is Located at Maheshbathan, the Property in Sector 5 is at walking distance From the Salt Lake in Kolkata. It offers flawless connectivity to important parts of the city like Science City, Lake Town, Dum Dum Airport, Rajarhat, park Circus etc. 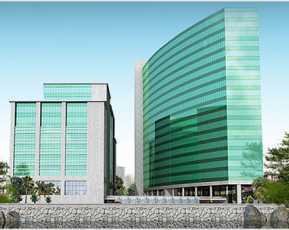 Merlin 5th avenue offers an easy access to conveniences like schools colleges, health-care facilities, banks, malls etc. The EM Bypass is around 12.6 kms from here and international airport is 14 kms away. Thus, the upcoming fashionable homes of Merlin 5th Avenue will soon be a premium address of the city and will make the dreams come true of all those who wish to own a Property in Kolkata. From incredible amenities to prime location, outstanding architecture to competitive prices, the property is truly an architectural marvel in every sense.